N Wiening Photography LTD - Your babies always seems so comfortable, you can totally see you love what you do and and take your job seriously…this is why you over achieve time and time again. Gorgeous art! Linda - Each image I decided was my favorite as I scrolled through this blog. Such a gift you had at creating a soft pallet of colors to showcase how tiny and perfect each baby is. Shannon Payne - What a beautiful baby! Your setups are all so great, I don’t know how to pick a favorite. I love the rainbow you incorporated for mom, and baby girl looks so gorgeous in the pink blankets. Love these all! Milana Photography - What a beautiful session! Love all of the gorgeous poses and props. You are incredibly talented!!! Kandi Anderson - So many beautiful and timeless images captured for this family! Mom and dad are going to love every single one. Such a sweet and dainty little one. Linda - The girls do look like they are in love with their baby. He is a lucky little guy to have a them. 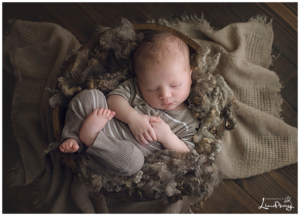 You captured him in such rich colors and textures, I can see why this family wanted to return and have great images of their little one from you. Kandi - What a beautiful session! Graham is a cutie and has a gorgeous family! His big sisters look so proud. Great job on this session, it’s such a joy to follow your blog! N Wiening Photography LTD - How sweet. Every mothers dream is to have a beautiful photograph of their children together and you have given her just that! Really lovely, all of them! Milana Photography - Ohhh my Goodness! I just can’t get over all of the cuteness!!! WOW! The 3 kids together is perfection, especially the last one. I love every single pose and prop and love the family photos too! You did an incredible job!! Shannon Payne - What a gorgeous baby boy. I love his name! He family is going to be so in love with all of these beautiful images. 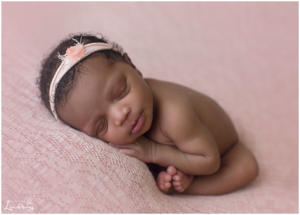 N Wiening Photography LTD - Aaaw this baby girl is too precious and I love all the clothes you have chosen for her. 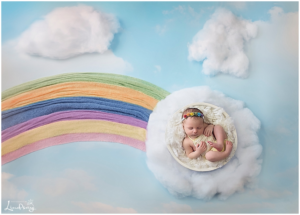 I just love your newborn photography! Kandi Anderson - Oh, my gosh! The colors you selected are perfect! Just like this sweet little one you have captured so perfectly! Your clients are so lucky you provide every little prop, outfit, and headband! What a huge savings that is for them. Linda - I see why you were excited to make the selections for her session, this yellow onsie is stunning on her. The props you provide for your sessions are gorgeous, what a blessing for a new parent. Lara Greenwood - I think you made the perfect choice!! I just love yellow it looks amazing on her and I think it is such a happy color! Mom must be thrilled. Baotran - I absolutely love the yellow flower set up, she is beautiful! Shannon - What gorgeous shots! I love how much variety of color you used! Mom must be beyond thrilled! Linda - Her big brown eyes melt me… then you add in that little smile and dimples, bam!! It’s the cutest combo. I love the crispy beauty of your images! C'est l'Amour Photography - HER expressions make me so happy! I just adore how happy she is! Such a beautiful gallery! So many great captures! N Wiening Photography LTD - What a stunning set of images to celebrate this little girls first birthday. Great job, I absolutely love them! Lauren - Your work is absolutely stunning! Beautiful cake smash setup, those colors are gorgeous together. Kandi Anderson - Oh, that smile is going to capture some hearts! AND..those eyes will melt your heart. She is so beautiful. I love following your blog, you inspire me! Milana Photography - Oh my! She’s absolutely precious! And those eyes are so captivating, wow! I love that you photographed her when she was a baby and as she grew up, it’s so special! 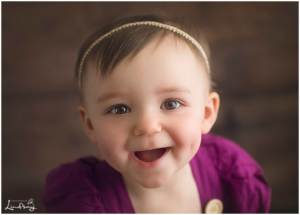 Lara - How lucky are you to have seen this adorable dimpled little one 6 times in her first year! I just love this gallery. Baotran - I adore the colours of this cake smash! So cute! You captured so many different emotions from her! Kandi Anderson - Not only does he have great hair….. but I think he has perfect lips, too! What a sweet baby. I love how you offer clients to bring in something special that has value and meaning to them. Beutuilf images! Linda - This baby boy is so handsome. I love how squishy and content he looks in every image. Wonderful that you incorporated the rugs that his grandmothers made. N Wiening Photography LTD - WOW! 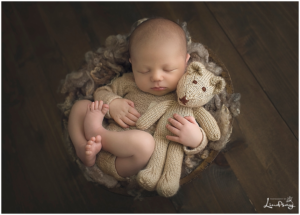 !What a great set of newborn photographs. I just love all the sweet props you offer and you are an expert at posing all these babies! Well done! Shannon Payne - His hair, his chubby cheeks, what a dream baby! You have so many amazing poses for him. I love the potato sack pose and the tiny feet shot. Great work! © 2016 Photography by Lindsay - Portrait photographer serving Martinsburg / Eastern Panhandle West Virginia - Specializing in Newborns, Families, Kids, and Seniors|ProPhoto Photography Blogsite by NetRivet, Inc.